Nobody wants rats in their home, but construction projects in developing neighborhoods can cause the rodents to flee into nearby houses. This is a common problem in developing neighborhoods, and this should not be surprising, as there exists billions of individual rats in the world. In fact, the country of China alone is home to an estimated two billion rats. In the state of Michigan, rats are currently fleeing a large area of land where an interstate is being constructed. As you can imagine, the many residents living nearby are afraid that rats will invade their homes in an effort to escape the construction site. This is why the mayor of one Michigan town has taken the initiative to have the rodents trapped before they gain access to neighborhoods. This project is costing taxpayers 125,000 dollars, but residents are not complaining. Next week, interstate 696 will reopen in Macomb County, and the residents of Warren are prepared for the massive amount of rats that will inevitably make an effort to flee from the construction site and into their homes. According to Mayor Jim Fouts, without the rat trapping program, residents of Warren would already be sharing their homes with the rodents. In all there are 128 bait box trap locations and individual traps set up along the eastbound and westbound areas of the interstate. These traps were set up by a private contractor who specializes in trapping hordes of rats, and the box traps are checked every two weeks at a cost of 30 dollars for each check. This large-scale rat trapping program was initiated last April in order to contain the rats fleeing from the 90 million dollar interstate renovation project that covered I-696 from I-75 to I-94. The excavation of land and the noise produced by heavy machinery causes the established rat population to seek shelter, food and water from other areas, in this particular case, these areas happen to be people’s houses. The residents of Warren and other nearby cities are no strangers to rat infestations, as the city spent 275,000 dollars on a large-scale rat trapping program not too long ago. Have you ever found a rat in your home? Everyone has experienced a difficult neighbor or two in the past, but one man living in Louisiana is being driven crazy by all of the rats flooding into his home from his neighbor’s rat-infested house. Homeowner Dwayne Scott of Ascension Parish has been struggling for the past year to keep his home free of rats. Not only are the rats on Scott’s property coming from his neighbor’s home, but his neighbor decided to leave his home and the surrounding property littered with mounds of garbage before he decided to abandon the property a year ago. Not surprisingly, this garbage is attracting massive amounts of rats, and they must be out of edible garbage because they are rushing into Scott’s home at a near constant rate. In an act of desperation, Scott requested that the local government clean the trash from his neighbor’s property, but Scott’s requests were ignored. In response to being ignored, Scott contacted a local news station in order to share his story with reporters. Luckily, this move may have prompted local government leaders into finding a solution to Scott’s dilemma. Before asking local government leaders for help resolving his problem, Scott personally asked his next door neighbor to remove the garbage due to the rats gravitating toward his house. However, Scott’s neighbor clearly had no intention on cleaning his property, as he abandoned the house not long after Scott requested he clean his property. At the moment, the trash on his neighbor’s porch and surrounding property is piled knee high. At one point, local government leaders sent Scott’s neighbor a notice demanding that he remove all the trash from his yard and home, but the neighbor never responded, and the rat infestation within Scott’s home became worse. According to city council members, Scott’s neighbor is only in violation of the law if his property contains appliances or unregistered vehicles. Apparently, the council is now considering legal action against the neighbor, but a judge will have to force the neighbor to remove all trash if he is in violation of city ordinance. Have you ever experienced an animal infestation that originated from a neighbor’s property? Las Vegas is an ideal vacation destination for people looking to blow their savings, but you may want to avoid their grocery stores. While there may very well be a few grocery store locations in Las Vegas that do not contain filthy disease spreading rats, the Albertsons on Lake Mead and Boulder Highway is definitely not one of them. On November 7th, this Albertsons location was forced to close after government inspectors discovered that the management team had hid a potentially life-threatening rat infestation from the public as well as the government. Unfortunately, this rat infestation was not your typical rat infestation, as the rats had apparently mated, reproduced and raised their young within the store. The rat offspring then grew into adulthood and proceeded to mate and raise their own young. This cycle continued until, eventually, the store’s managers were caught attempting to hide the infestation. Records dating back to late last summer prove that the store’s management team as well as the employed staff had known about the rat infestation for months. Despite knowing that a rat infestation within the store existed, and was against health codes, the management team kept a tight lid on the rat presence. Eventually, the health department learned of the situation after an employee wrote the department a letter describing the infestation. The letter described rats that ran around the breakroom as well as the rest of the store. The letter also claimed that the infestation had been known to all employees and managers for at least three months. Officials with the health department confronted the store’s record-keeping director, Kathy Chin, who then provided officials with the store’s log book. The records stated that over 40 different rodent sightings had occured since September 19th. Several dead rats were found and many more live ones were found on top of coolers and dangerously close to food. Rat feces had also been found in numerous locations. Pest control inspectors that had been called to the store in the previous months claimed to have found rats every day and they even killed 45 of them. A few days later, the store reopened, but probably with a new management team. Do you ever become concerned about pest infestations within supermarkets or restaurants? Car and house wiring issues can be expensive and sometimes downright dangerous. Believe it or not, rodents like mice and rats could be the culprits behind the damage. While many people are aware of the health risks posed by rodents spread, it’s often a surprise that they also have a love for gnawing on wires, putting property at risk for house fires and car issues. To promote greater awareness about rodent health and property issues, the National Pest Management Association (NPMA) has declared October 21-27 to be Rodent Awareness Week. 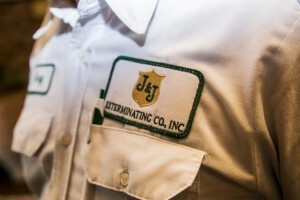 J&J Exterminating is joining NPMA in this important effort by educating homeowners on the threat of rodents and signs that could indicate rats or mice are a problem on properties.